William Allingham was born in Ballyshannon, Co. Donegal, Ireland in 1824. Allingham first met Tennyson in 1851 & the two men became great friends. Allingham was a regular house guest of the Tennysons in Freshwater & was enchanted by Farringford House. Tennyson greatly admired Allingham’s poetry & the Irish poet became part of the circle of friends that surrounded the Tennysons. During Allingham’s time in Freshwater, he kept an extensive diaristic record of his interactions with the poet laureate. Allingham’s vivacious dialogues with Tennyson have been frequently quoted & paraphrased ever since, & are generally treated as factual first-hand accounts. But Allingham is not just an important referent for Tennysonian scholarship; he occupied an essential role as Tennyson’s friendly biographer & tutee during his lifetime. 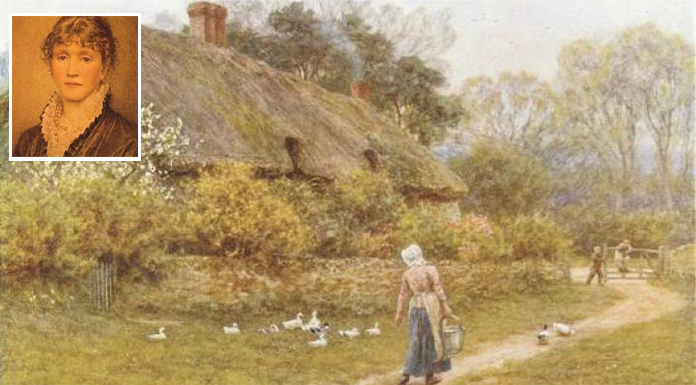 Farringford House, by Helen Allingham. 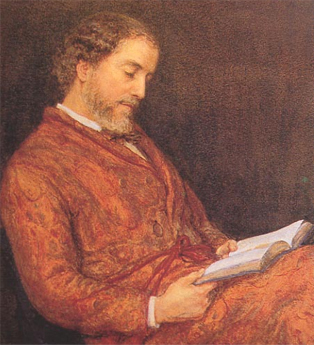 Even before Allingham’s seminal Diary 1847-1889 was published by his widow Helen Allingham (1848-1926) in 1907, Hallam Tennyson (1852-1928), eager to render a life-like depiction of his father, referred to the manuscript diary in his Alfred Lord Tennyson: A Memoir (1897). Moreover, Allingham was a keen observer of & contributor to the circle of artists & thinkers that surrounded Tennyson on the Isle of Wight. For example, he attempted to collaborate with Julia Margaret Cameron, but while Allingham appreciated her professional industriousness, he felt intimidated by her impulsive enthusiasm, talkativeness & unconventional household management. 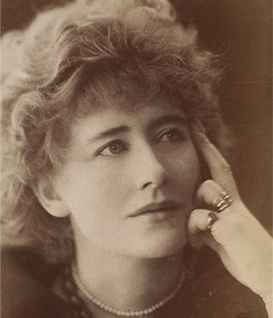 Allingham was also a close friend of Ellen Terry & delighted in their conversations about theatre & performance. In popular culture today, the first lines from Alligham’s poem, ‘The Fairies’, are quoted near start of the film Willy Wonka & the Chocolate Factory.